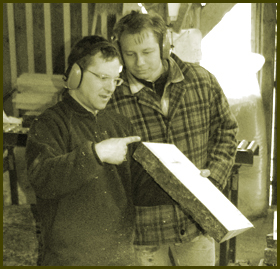 ALPENTONHOLZ PAHLER is a personally managed tone wood company with many years of experience sourcing and preparing timber for the making of quality stringed instruments. We specialise in European spruce (Picea abies) which grows on the upper slopes of the Alps, in mixed and protected forests at about 1000 m above sea level, as well as in maple (Acer pseudoplatanus). With a base in Mittenwald (small stock) as well as in Westerholzhausen, Bavaria (large stock; location of bandsaw) we are very well placed to find the best wood. The wood is cut according to moon phases where appropriate. Best time is a descending and waning moon. The forested areas of Tyrol, Southern Tyrol (Italy) and Bavaria have been used for centuries by many famous makers. 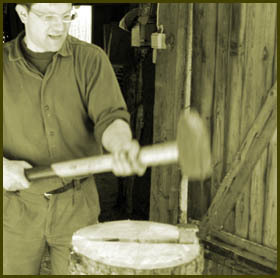 Then as now the search for wood is time consuming yet rewarding work. 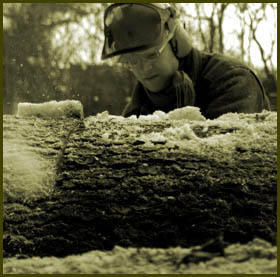 Alpentonholz - Alpine Tone Wood was founded by violin maker and forester Andreas Pahler. After training at the Mittenwald Violin Making school he worked in various restoration and violinmaking workshops. He then went on to study forestry at the Technical University in Munich where he specialized in wood technology. tone wood is personally selected by himself. quality (eg. evenness of growth).